To view on your tablet or mobile device, click here. Want to see Sanborn and Bancroft elementary schools shout outs? Click here for Sanborn and here for Bancroft! 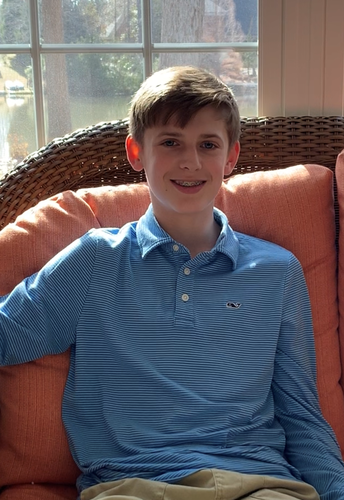 Wood Hill Middle School eighth grader Matthew Webber will proudly represent Andover Public Schools at this year’s Project 351. Project 351 engages eighth grade Ambassadors from each of the 351 Massachusetts cities and towns in a 12-month program of service learning, leadership development, and civic engagement. 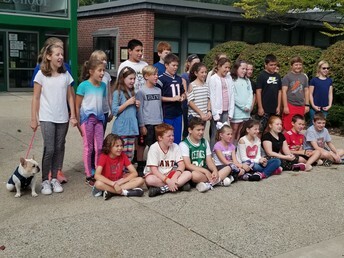 Chosen by Wood Hill Middle School Principal Patrick Bucco and his teachers, Matthew is excited to take part in the service projects and meet his peers from across the state. Matthew has been a Boy Scout for three years and hopes one day to become an Eagle Scout. He participates in the W.E.B. (Where Everyone Belongs) program, helping sixth graders acclimate to their new school and schedule. Matthew is an avid soccer player, loves watching college football and his favorite subject is math. A native of Alabama, he travels back to visit family and attend camps during the summer months. He knows his Ambassadorship in Project 351 will create lasting opportunities and he thinks it will be cool to meet the Governor. Ambassadors demonstrate an exemplary ethic of service and values of kindness, compassion, humility, and gratitude. Project 351 places a special premium on unsung heroes and quiet leaders, and the rich diversity throughout Massachusetts. Initially, Project 351 began as a one-day celebration of Dr. Martin Luther King, Jr., statewide unity, and youth leadership. The program was so inspiring, then-Governor Deval Patrick developed the initiative into a yearlong program to repeat each year beginning in January. When you first meet them, you know they are related. When you speak with them, it’s clear mother and daughter share a passion for reading and teaching that might actually be genetic! Colleen Dolan is a reading specialist at High Plain Elementary and has taught at various schools within the APS district for 18 years. 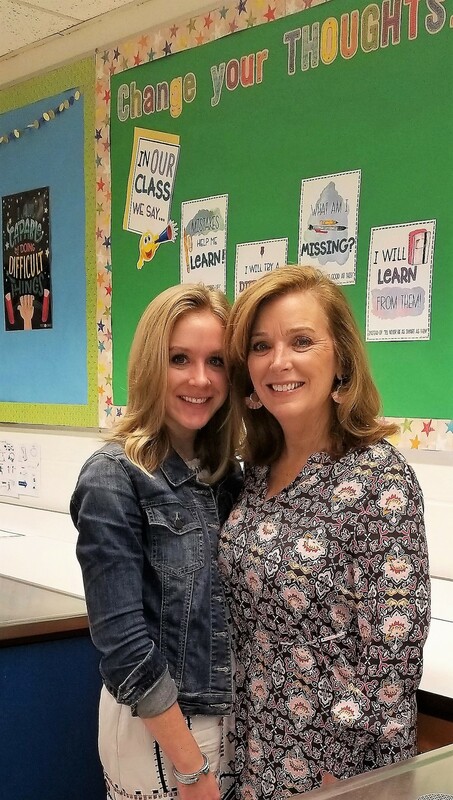 Her daughter, Kelsea Lussier, is marking her first year at APS as a language based special education teacher at Doherty Middle School. They are one example of many dedicated families who teach and care for our students at APS. Colleen knows her devotion to reading and books was passed down from her late mother, Betty. Kelsea believes her love of reading and teaching that brought her to the classroom is influenced by her mother and grandmother. 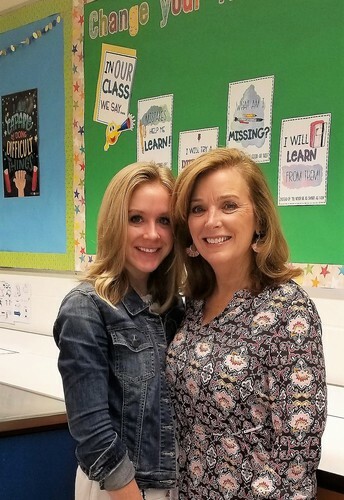 Kelsea has the strong guidance of her first and best teacher, her mother, and the many inspiring teachers she has encountered as a lifelong learner. She looks to have that same impact on her own students’ lives. 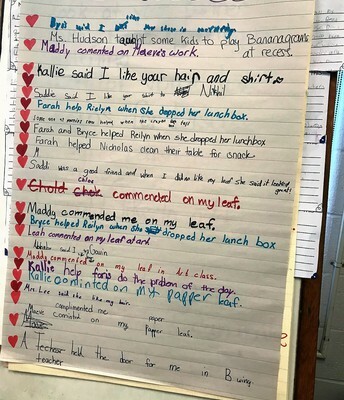 Colleen always told Kelsea that “It takes a village,” and Kelsea feels so privileged to play a role in developing productive, independent thinkers. Both Colleen and Kelsea entered into education for the love of teaching and learning. 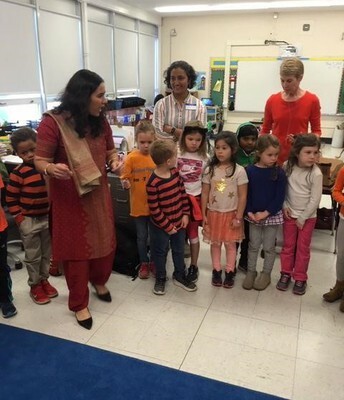 They work to develop instructional strategies and skills while celebrating each child. 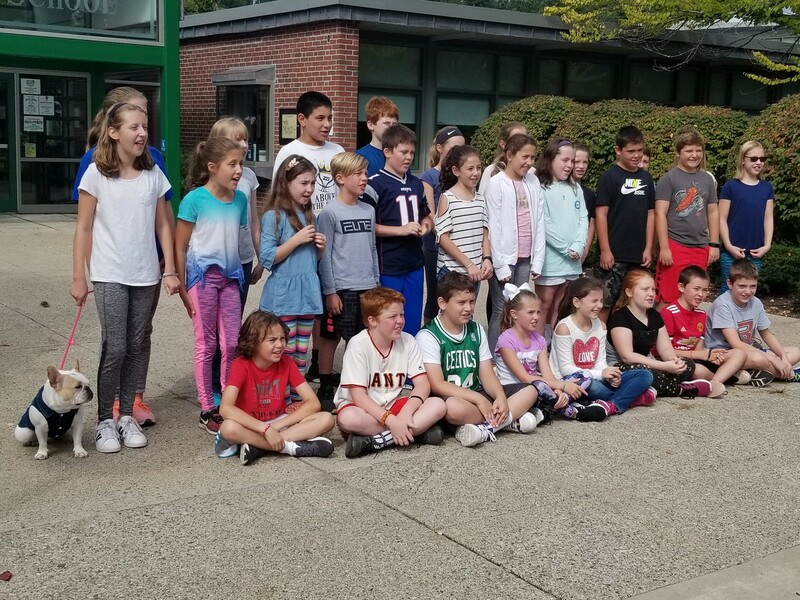 Each summer, they participate in Kaleidoscope, an enrichment program that offers educational and cultural opportunities to children in the Merrimack Valley. The emphasis of Kaleidoscope is on concrete learning in a creative setting. Social-emotional learning has become one of the five core strategies in the Massachusetts Department of Elementary and Secondary Education’s “Leading the Nation” strategic plan. In response, districts all over the state have been joining a coalition, entitled Excellence through Social-Emotional Leaning or ExSEL, facilitated by the Rennie Center for Education Research and Policy and Transforming Education. Fortunately, Andover is well ahead of the curve in the area of social-emotional learning with programs like Responsive Classroom, Open Circle, Where Everyone Belongs, CREW, and the H-block advisory period at the high school. Research indicates that classroom culture and climate affect learning as dramatically as the academic curriculum does, and that a strong foundation of social and emotional safety supports academic progress. When teachers and schools create an environment that builds interdependence, compassion and empathy, students feel safe while they learn. Surrounded by a caring network of peer support, students are better able to concentrate on academic work, take risks without fearing failure, and make faster progress. 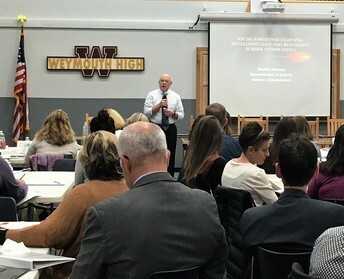 This past week, I was honored to volunteer to give the keynote address at the ExSEL session for 20 of the coalition school districts, including North Andover, Brookline, Shrewsbury, Lowell, Weymouth and others, who are supporting each other as a network for sharing resources and best practices in social emotional learning. 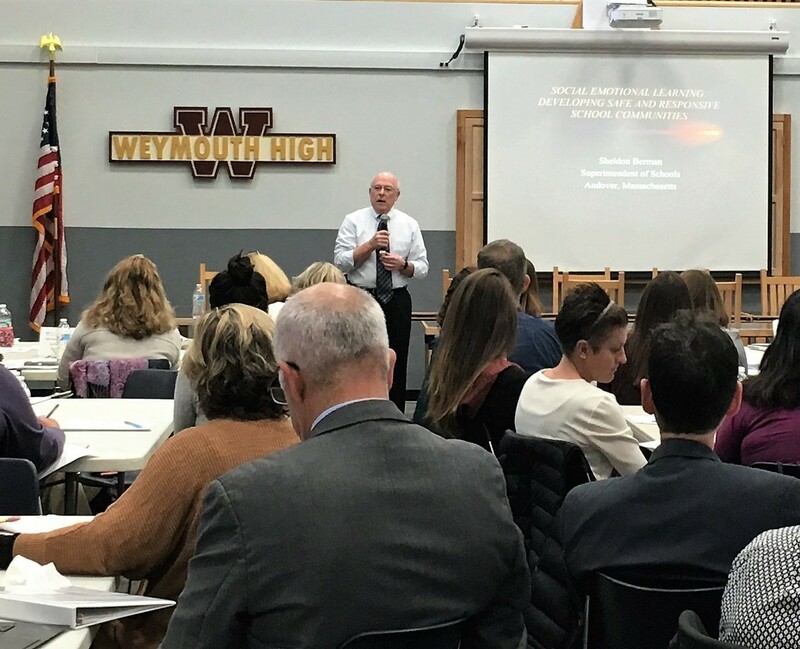 The opportunity was a chance to share the great work motivated by Andover Public Schools’ Theory of Action, which is our strategy for advancing learning in the district. 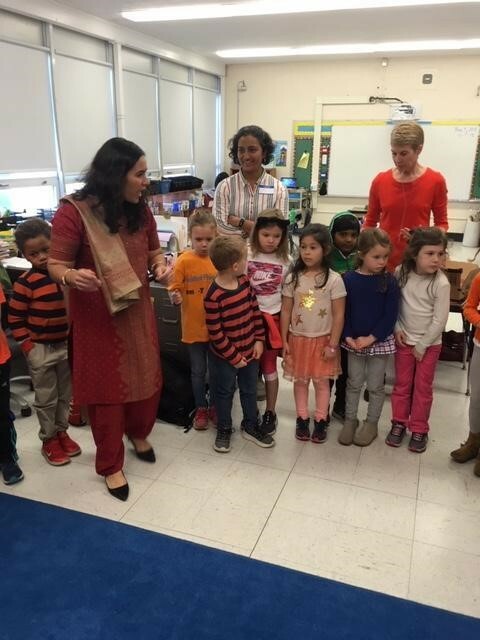 In each of the four school districts in which I have served as superintendent, social-emotional learning was pivotal in improving school climate, students’ academic performance and connection to school, and teachers’ morale. In the September 2018 edition of School Administrator and in my keynote, I shared the important lessons I’ve learned over the years in implementing social-emotional learning. No other initiative that I pursued in my four districts has been better received or more enthusiastically implemented, largely because of the positive relationships, classroom culture and student responsiveness that SEL fosters. Our work in Andover in supporting students’ social-emotional well-being and learning has energized many of our staff and administrators. It is a strong support in our work in creating caring classroom and school communities. 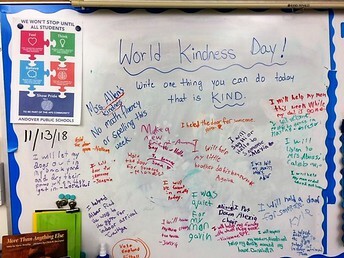 On Tuesday, November 13th, Andover Public Schools celebrated World Kindness Day. 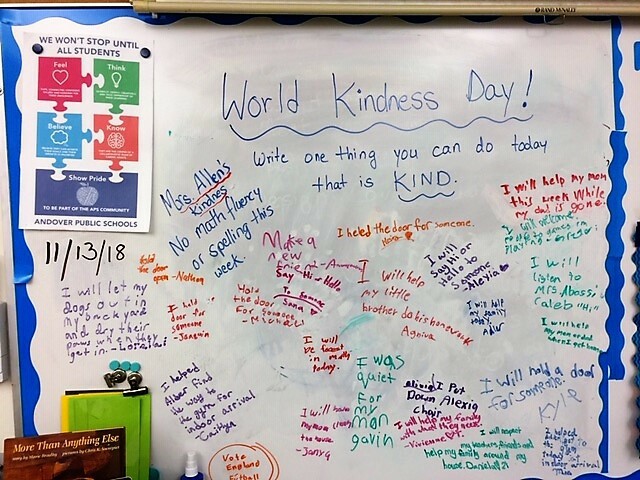 Created in 1997 and observed internationally, World Kindness Day shines a light on some of the many good deeds that take place every day in our communities, focusing on every human being’s positive power and the common thread of kindness that binds us together. 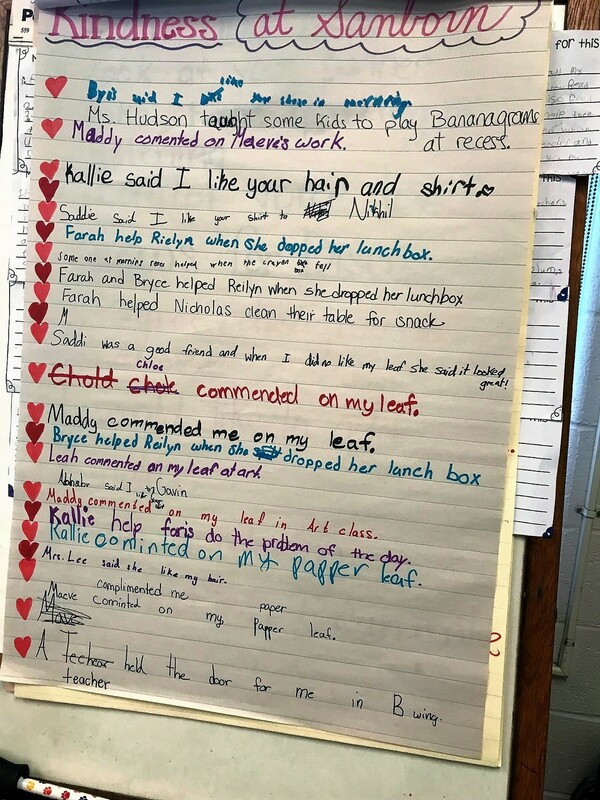 Teachers highlighted acts of kindness in the classroom and encouraged students to share ideas for practicing kindness at home. 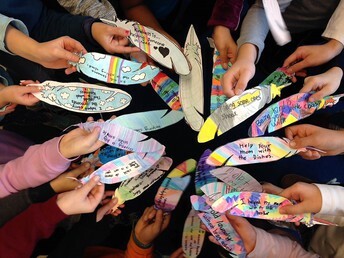 The focus on culturally proficient teaching and kindness lifted students’ spirits and fostered a sense of community and collaboration within our classrooms and schools. 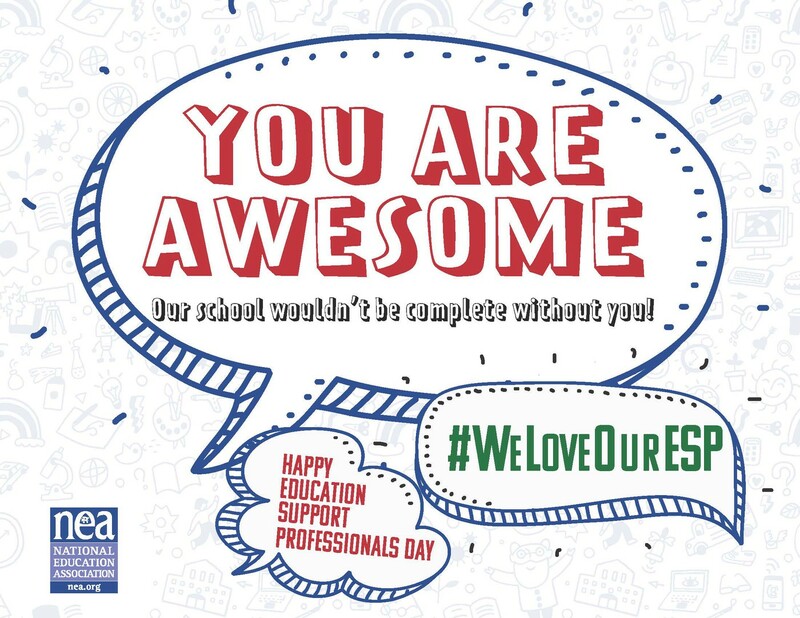 Andover Public Schools joins schools across the country and the National Education Association to celebrate National Education Support Professionals (ESP) Day on November 14, 2018. ESPs include paraeducators, secretaries, custodians, tradespeople and technical staff. They also include school security officers, school bus drivers, food service workers, and those who work in health and student services. ESPs meet the most fundamental needs of students, enabling them to reach higher levels of knowledge, achievement, and student success. 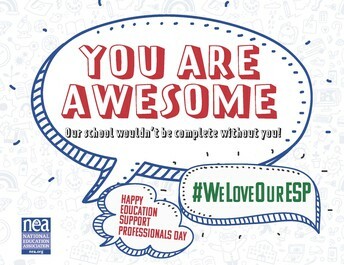 APS appreciates the amazing ESPs who make a difference in the lives of students both inside and outside the classroom. 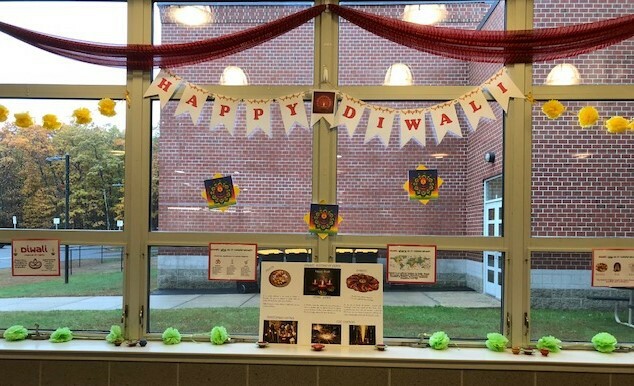 As part of the district’s efforts to acknowledge and celebrate the diversity of our student body, a number of schools featured performances, exhibits and celebrations of Diwali last week. 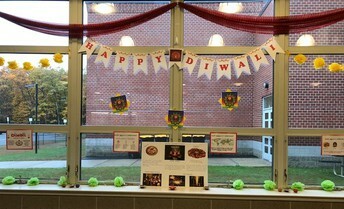 Diwali is a Hindu festival of lights celebrated every autumn in the northern hemisphere. 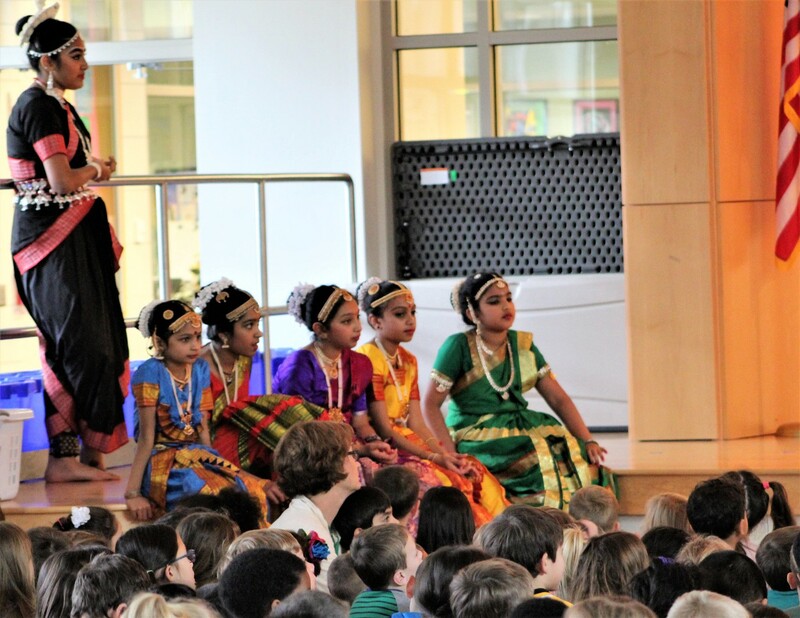 One of the most popular festivals of Hinduism, Diwali symbolizes the spiritual "victory of light over darkness, good over evil and knowledge over ignorance.” Last week, Diwali was celebrated at High Plain Elementary with a demonstration of Kathak Dance of Northern India. Through movement, music and math, the dancer performed “Kathal Yoga”- a technique that unifies the recitation of the taal (rhythm), the signing of a melody and dancing of complex footwork and rapid spins. Diwali celebrations were also held at West and Bancroft elementary schools. 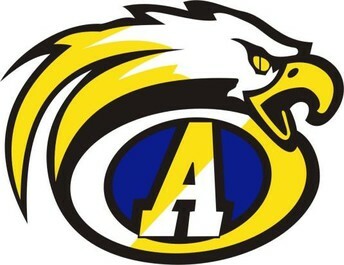 The Andover High School Girls Soccer team is preparing fully cooked turkey dinners for those who aren’t able to cook in their own homes this Thanksgiving. Please contact Coach Don Sheldon: DShel1@aol.com with “Turkey” in the subject line and your name, phone number and number of people you are serving in the email. The dinners are available at no charge thanks to a generous anonymous donor. Bancroft Elementary’s Digital Learning Specialist Tim Harkins presented at the EdTech Teacher Summit in Boston last week. 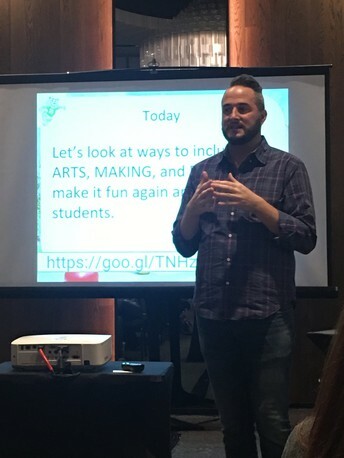 Tim shared the amazing work that Bancroft is doing integrating digital learning, making and arts into the curriculum. The EdTech Teacher Boston Summit is a unique learning experience that brings together tested and practical edtech strategies for the classroom. We want to acknowledge Tim for his leadership in the area of EdTech. 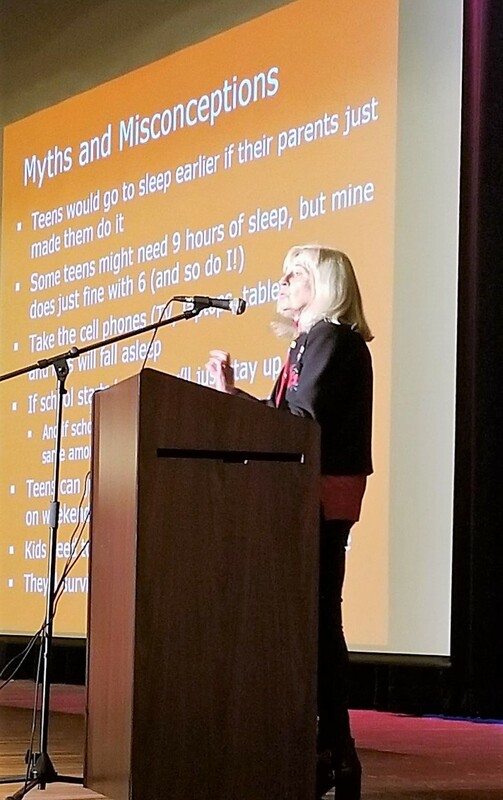 Dr. Judith Owens, director of Sleep Medicine at Boston Childrens’ Hospital and professor of Neurology at Harvard Medical School, spoke on the affects of sleep on adolescents Tuesday, November 13th at a community forum. 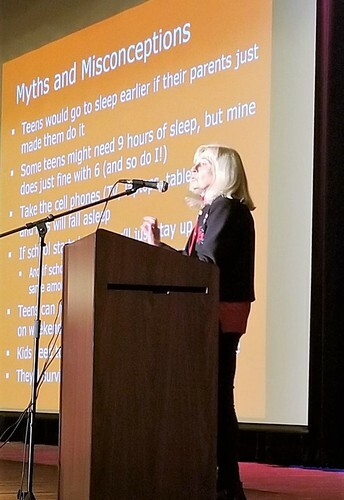 She addressed the basics of sleep and consequences of insufficient sleep for high school and middle school students. The School Committee is currently considering the implications of the Andover schools schedule on adolescents’ mental health and well-being, and potential impacts of changing start times within the district. Dr. Owens’ presentation is available to view here.